Opening a new era in cancer care, US health officials have approved a breakthrough treatment that genetically engineers patients’ own blood cells into an army of assassins to seek and destroy childhood leukemia. The Food and Drug Administration said the approval on Wednesday was historic, the first gene therapy to hit the US market. Made from scratch for every patient, it’s one of a wave of “living drugs” under development to fight additional blood cancers and other tumors, too. Novartis Pharmaceuticals set the price for its one-time infusion of so-called “CAR-T cells” at $475,000, but said there would be no charge for patients who didn’t show a response within a month. 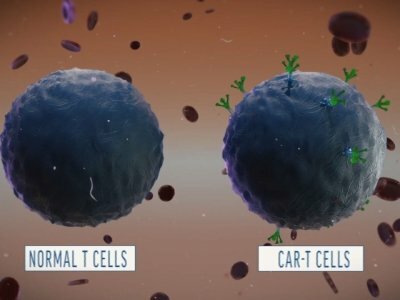 CAR-T treatment uses gene therapy techniques not to fix disease-causing genes but to turbocharge T cells, immune system soldiers that cancer too often can evade. Researchers filter those cells from a patient’s blood, reprogram them to harbor a “chimeric antigen receptor” or CAR that zeroes in on cancer, and grow hundreds of millions of copies. Returned to the patient, the revved-up cells can continue multiplying to fight disease for months or years. It’s a completely different way to harness the immune system than popular immunotherapy drugs called “checkpoint inhibitors” that treat a variety of cancers by helping the body’s natural T cells better spot tumors. CAR-T cell therapy gives patients stronger T cells to do that job. “We’re entering a new frontier in medical innovation with the ability to reprogram a patient’s own cells to attack a deadly cancer,” said FDA Commissioner Scott Gottlieb. The first CAR-T version, developed by Novartis and the University of Pennsylvania, is approved for use by several hundred patients a year who are desperately ill with acute lymphoblastic leukemia, or ALL. It strikes more than 3,000 children and young adults in the US each year and while most survive, about 15 percent relapse despite today’s best treatments. In a key study of 63 advanced patients, 83 percent went into remission soon after receiving the CAR-T cells. Importantly, it’s not clear how long that benefit lasts: Some patients did relapse months later. The others still are being tracked to see how they fare long-term. Still, “a far higher percentage of patients go into remission with this therapy than anything else we’ve seen to date with relapsed leukemia,” said Dr. Ted Laetsch of the University of Texas Southwestern Medical Center, one of the study sites. “I wouldn’t say we know for sure how many will be cured yet by this therapy. There certainly is a hope” that some will be. Most patients suffered side effects that can be grueling, even life-threatening. An immune overreaction called “cytokine release syndrome” can trigger high fevers, plummeting blood pressure and in severe cases organ damage, side effects that require sophisticated care to help patients without blocking the cancer attack. The FDA designated a treatment for those side effects Wednesday. Among concerns, sometimes leukemia can develop resistance, and sometimes patients worsen while waiting for their new cells, said Sekeres, who directs the Cleveland Clinic’s leukemia program and wasn’t involved with CAR-T testing. “Unfortunately leukemia grows so rapidly that it can evade even the smartest of our technologies,” he added. To better ensure patient safety, the FDA is requiring Novartis to offer CAR-T therapy only through medical centers specially trained and certified to handle the complicated treatment. Novartis expects to have 32 centers around the country, mostly in large cities, running by year’s end, with the first 20 offering care within the next month. 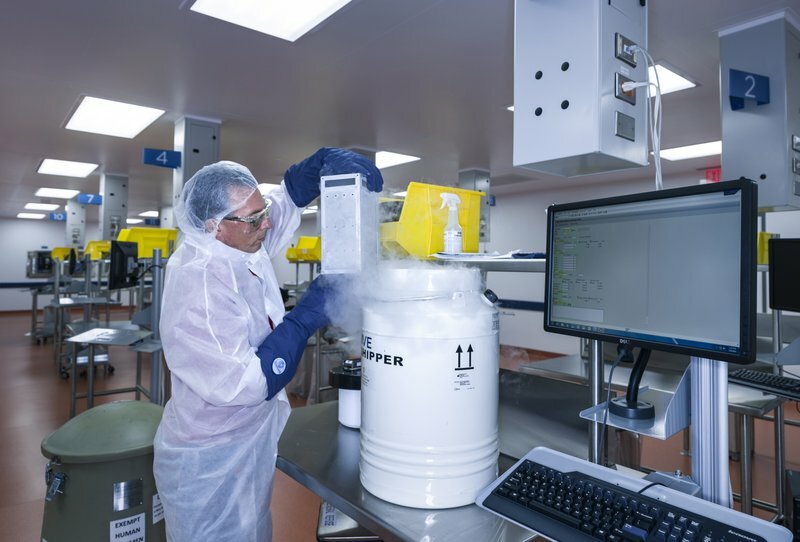 Patients’ collected immune cells will be frozen and shipped to a Novartis factory in New Jersey that creates each dose, a process the company says should take about three weeks. The $475,000 price tag doesn’t include the cost of needed hospitalizations, travel to a certified hospital and other expenses. On a conference call Wednesday, Novartis executives said the company is working with the Medicaid program and private insurers and expects broad coverage, and will offer some financial assistance with such things as copay and travel costs. But they didn’t promise all patients would be able to get the therapy. For some patients, the new CAR-T therapy might replace bone marrow transplants that cost more than half a million dollars, noted Grupp, who led the Novartis study. “This is a turning point in the fight” against ALL, said Penn’s Dr. Carl June, who pioneered the therapy. But he and other researchers say thousands more patients eventually may benefit. Kite Pharma’s similar CAR-T brand, developed by the National Cancer Institute, is expected to win approval later this year to treat aggressive lymphoma, and Juno Therapeutics and other companies are studying their own versions against blood cancers including multiple myeloma. Scientists around the country also are trying to make CAR-T therapies that could fight more common solid tumors such as brain, breast or pancreatic cancers — a harder next step.